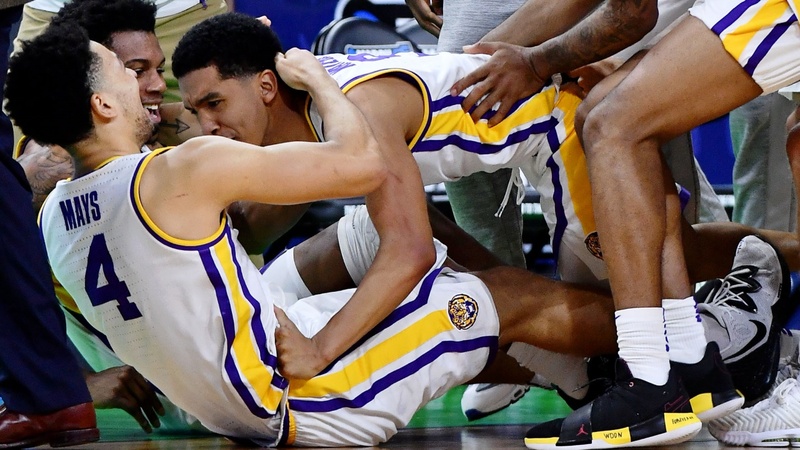 LSU point guard Tremont Waters drove the lane and hit an underhanded layup with only 1.6 seconds on the clock that handed the Tigers a 69-67 second round win over Maryland. The Tigers will face the winner of Michigan State-Minnesota game. That game will be played Friday in Washington D.C. at the Capital One Arena. Skylar Mays led LSU in scoring with 16 points. Naz Reid and Waters totaled 13 and 12 points, respectively. LSU lead by nine points at halftime and built a second half lead by as many as 15. Maryland then switched to a zone defense that the Tigers struggled with. With 5:52 left to play, Maryland took it’s first lead of the game. There were six ties beyond that point until Waters made his game-winning drive to the basket.